Adults with atopic dermatitis experienced higher mean scores indicating the presence of depression and anxiety. 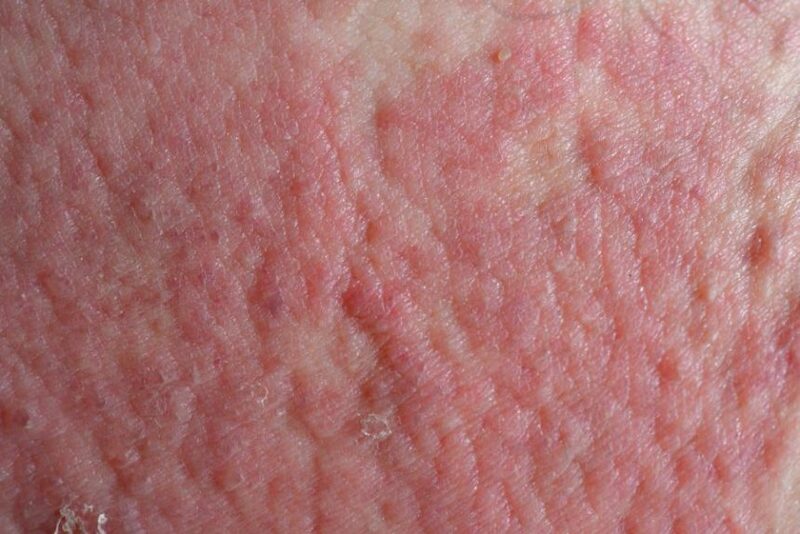 Atopic dermatitis (AD) has been linked to increased anxiety and depression symptoms, according to a study published in the British Journal of Dermatology. Study data were obtained from the Atopic Dermatitis in America survey, which used population samples from the Growth from Knowledge (GfK) Knowledge Panel. This cross-sectional study involved 2-stage sampling, where stage 1 was designed to determine the prevalence of AD in US adults through a survey. Of the 2137 invited participants, 1286 completed the survey (response rate, 59.8%) and 1278 qualified for the study (99.4%). An additional 13,713 adults were screened in stage 2. The final cohort consisted of 2291 controls without AD and 602 participants who met an adapted UK Working Party definition of AD. The adapted UK Working Party criteria included having an itchy skin condition during the past 12 months and 3 or more of the following: (1) history of skin crease involvement, (2) asthma or hay fever, (3) general dry skin during the past year, or (4) onset under the age of 2 years, except for a diagnosis of visible flexural eczema. Patient-reported severity was also taken into consideration along with Patient-Oriented Scoring AD (PO-SCORAD) index (range 0-103); numeric rating scale for itch and sleep scores of PO-SCORAD (range 0-10); Patient-Oriented Eczema Measure (POEM) (7 questions; range 0-28); and Dermatology Life Quality Index (DLQI) (10 questions; range 0–30). The scores obtained thus were divided into 3 categories, which include clear, almost clear, mild; moderate; and severe and very severe. Mental health was assessed using Hospital Anxiety and Depression Scale anxiety (HADS-A) and depression (HADS-D) scores (7 items ranging 0-21 per score). The researchers defined borderline and abnormal anxiety/depression scores as ≥8 and ≥11, respectively. Self-reported anxiety and depression diagnoses were also taken into consideration. Compared with those without AD, adults with AD had higher mean HADS-A (7.7 vs 5.6) and HADS-D (6.0 vs 4.3) scores as well as higher prevalence of abnormal HADS-A (28.6% vs 15.5%) and HADS-D (13.5% vs 9.0%) scores. In multivariable linear and logistic regression models controlling for sociodemographic data, AD was associated with higher odds of abnormal HADS-A (OR 2.17; 95% CI, 1.66-2.85; P <.0001) and HADS-D scores (OR 1.57; 95% CI, 1.10-2.24; P =.01). Mean and abnormal HADS-A and HADS-D scores were increased in moderate and severe/very severe self-reported global AD severity, POEM, PO-SCORAD, and PO-SCORAD itch and sleep (P <.0001 for all). All respondents with severe PO-SCORAD, POEM, and PO-SCORAD itch had borderline or abnormal HADS-A and HADS-D scores. Limitations of this study included the use of an internet panel, which may be subject to false answers, answering too quickly, giving the same answer repeatedly, and multiple surveys completed by the same respondent. Researchers concluded that often, undiagnosed AD is associated with increased anxiety and depression and that it should be an important consideration in clinical decision making. This study was supported by Sanofi Genzyme and Regeneron. Please refer to the reference for a complete list of authors’ disclosures.